INDUSTRY.co.id - Parigi - Parigi Moutong Regency, Central Sulawesi, by the end of 2018 will have a plant processing of food crops, especially rice, corn and soybean (pajala) with a capacity of 2,500 tons per year. "The plant will be built by PT Sang Hyang Seri with an investment of around Rp20 billion projected to be completed by December 2018," said Parigi Moutong Regent Samsurizal Tombolotutu, who was contacted by the lay media in Parigi, Sunday (07/15/2010). His party has met with the ranks of Commissioner of PT. Sang Hyang Seri in Parigi to seek acceleration of construction of the plant and the local government will provide all the necessary investors to smooth the construction of this factory. "WTP I have been using since 2015, and alhamdulillah, this year realized, this factory has long been awaited farmers in this area," he said. The plant will be built on four hectares of land in Desa Baliara, Parigi Barat District. He stated that the seed processing plant will help farmers who have been struggling to obtain seeds, corn and soybeans in high quantity and quality and timing. One of Sang Hyang Seri's top brass, Rahmad said the development of processing plant of rice seed, corn and soybean in Parigi Moutong regency. 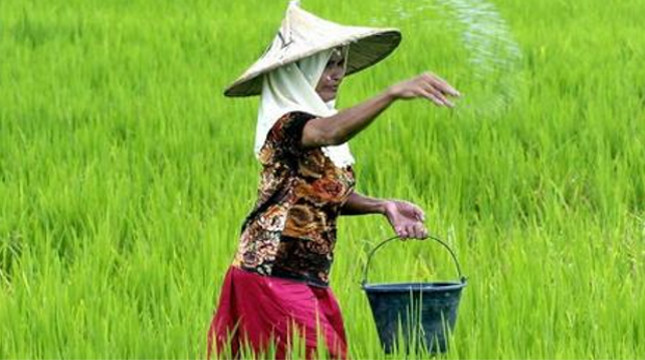 The goal is to support food security programs using Parigi Moutong and even Central Sulawesi as the main producer of pajala (rice, corn, soybeans) in Indonesia. Therefore he seeks local government Parigi Moutong can issue the process of building the factory, in terms of licensing. "We hope the government can help us gladly to coordinate and contribute easily," he said in front of the ranks of Parimo Government as quoted by the Public Relation of Pemda Parimo. According to Rahmat, in Indonesia this year there are only 4 provinces selected by the government to build seed processing factory, namely East Kalimantan, Aceh, NTB and Central Sulawesi. "Especially in Central Sulawesi, we chose Parigi Moutong because in general it is very strategic and potential from various aspects," he said. Sang Hyang Seri is given a grace period to build the factory until December 2018. If until December has not been completed, automatically, the job will be considered failed. Through this factory, Sang Hyang Seri Lalu will recruit new workers like local people to become seed breeders. They will be given seeds and taught and exercise how to cultivate them. "After the seed was successfully returned by Sang Hyang Seri at a price of five percent above the price," he said. Deputy Director of PT Sang Hyang Seri Adi Kusmajaya said that the development of seed processing plants will be used to improve agricultural productivity and labor. If the plant can produce as much as 2,500 tons of seed per year. The seeds will assist domestic and export needs such as the Philippines and Vietnam.